The two main games I am trying to run are WWE 12 and WWE 13 but I am having trouble getting a stable framerate for both games. When I enter a match, the framerate dips to the 30-40s and it feels very laggy. I can notice a considerable difference when the FPS jumps to 50-60 and it makes for a much smoother experience. 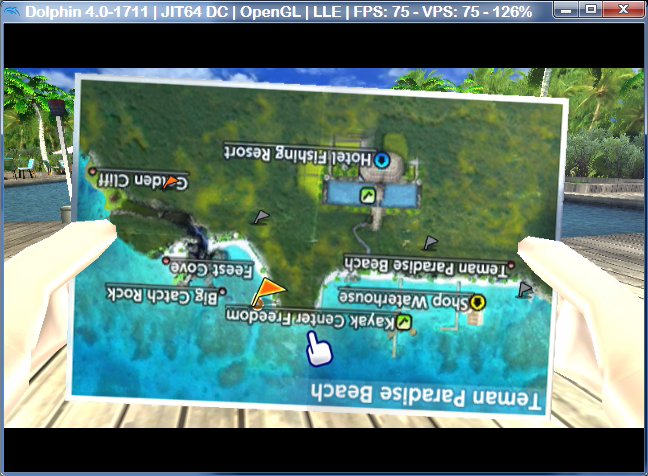 I've also tried different Dolphin revisions (currently using 3.5), but that didn't appear to help. Can someone guide me as to what settings would be optimal for both the config and graphics so I know I am setting it up correctly? Also, I'm willing to compromise on resolution and graphical quality in order to get a better framerate. I was also told that my i7 920 was too slow for the aforementioned games, is that true? I know Dolphin is only optimized to use two cores, but when I play a game I am only getting 30% CPU usage...how can I force Dolphin to use more of my CPU? Please Help! P.S. I also have a gaming notebook i7-3610QM, 16GB DDR3, GTX 670M, Windows 7 x64). Is that much of an improvement from my desktop machine? Quote: I was also told that my i7 920 was too slow for the aforementioned games, is that true ? Ok, but can you tell me what settings I should put in the config and graphics to make sure I'm getting the best performance? I tried changing the settings and the framerate always fluctuates like crazy. I don't care if I have to lower the resolution or graphical qualities, I just want to have the highest FPS I can with this computer. FAQ Wrote: Generally, the better your processor is, the better your overall performance will be. Having a good video card is important for maintaining good speed with high graphic settings. Just overclock the thing, eh? Changing settings won't do you any good, artificially speeding up your CPU will.